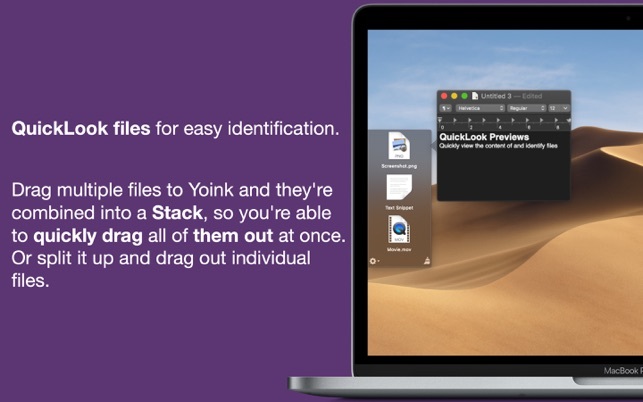 Yoink simplifies and improves drag and drop between windows, apps, spaces and fullscreen apps, by providing a temporary "shelf" for your files and app-content. It frees up your mouse, enabling you to navigate more comfortably to the destination of your files. When you start dragging files in Finder or content from an application, Yoink fades in at the edge of your screen, allowing you to drag to it. 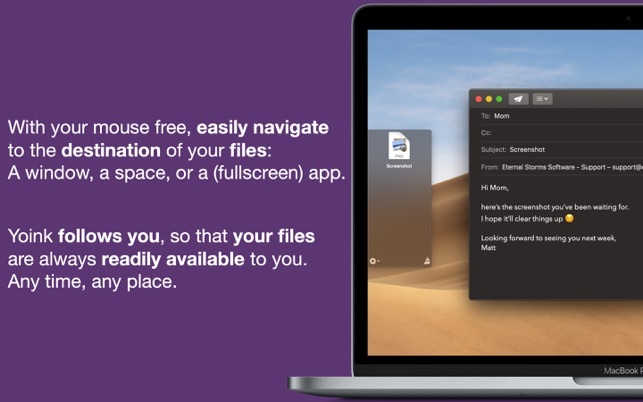 While Yoink is holding on to your files for you, you can more easily and comfortably navigate to the destination of your files, without having to keep the mouse button clicked the entire time. For further information and usage tips for getting the most out of Yoink, please visit its website. If you have any feedback or questions, please do not hesitate to write me by mail at support@eternalstorms.at, or on twitter at @YoinkApp or @eternalstorms. 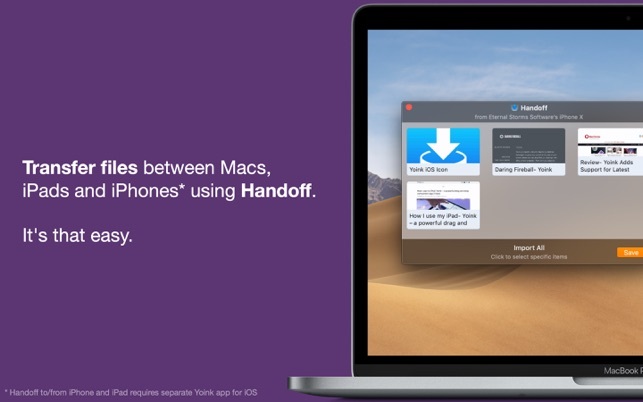 - Fixes an issue where a file received via Handoff would add a superfluous file extension, resulting in something like "filename.zip.zip"
Should be Part of OSX! It’s an incredibly handy little tool, and something that honestly should be bought by Apple and integrated into OSX, it’s that useful and intuitive. The newest version includes an optional clipboard history tool, which you can only turn on by turning on the sidebar widget, which is awkward if you just want to use the top file menu. Other issue with the clipboard feature is that it only pastes into Yoink and then you have to drag whatever it is out of Yoink, when usually all you want is for the saved clipboard item to go active so you can paste it somewhere. 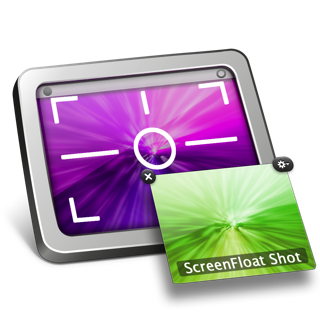 But still, this is a great no-brainer addition to OSX, the clipboard feature just isn’t very smooth. Thank you for your feedback on Yoink. 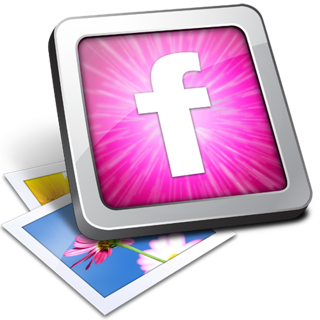 You can access the clipboard history through Yoink's menubar icon, which you can activate in its preferences. I came to know about Yoink through the many “essential apps for mac” type articles. It looked nifty, but did I really need it was my initial thought. Although I have been familiar with macOS and have recommended and help other people purchase and use Macs, I myself was a Windows user till a couple of years back. After switching, just the multitouch trackpad on macbooks made it much much easier to drag and drop things. So the value of Yoink was not really as apparant to me. That is untill I used it. Its a no brainer. The softare equivalent of “can you hold this please, while I sort this other thing out”. These kind of apps are what makes me love macOS and its developer community so much. 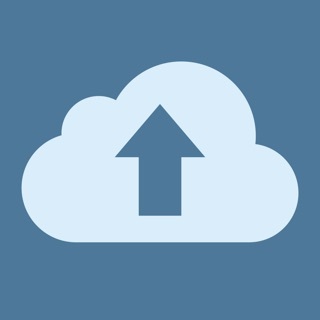 This small application saves me an enormous amount of time. 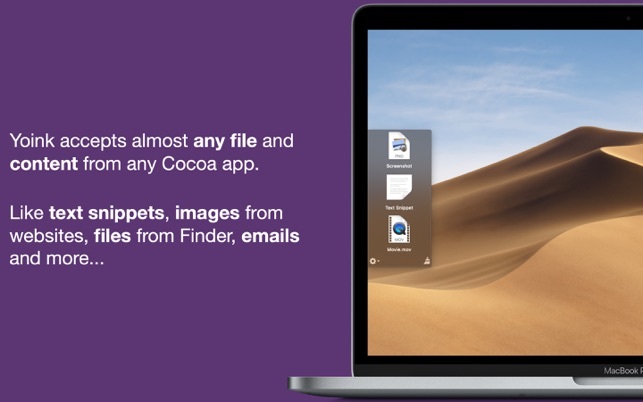 I use it many times every day to quickly and conveniently move files between folders, add attachments to email messages, collect images to be dropped into documents I am writing, and more. It is especially useful if you work on a laptop, with limited screen real estate. 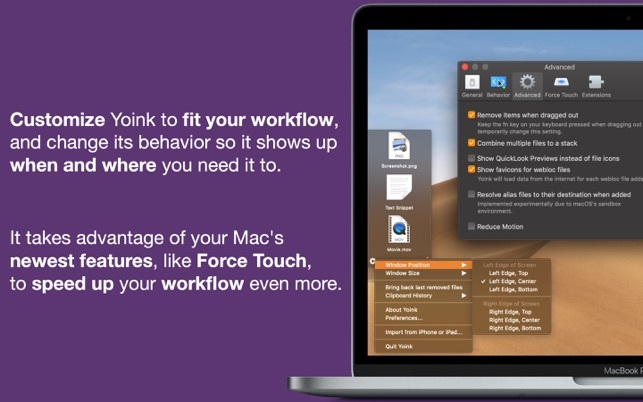 The included Alfred workflow makes this application even more useful. I contacted the developer to inquire about a minor addition to the Alfred workflow, and within 24 hours he provided an updated file that implemented my request. Simply amazing customer support! HIGHLY RECOMMENDED.